Superb Condition Glass Bottle with its Original Stopper. No damage at all. Pretty pink enamelled shield front ESS.BOUQUET. 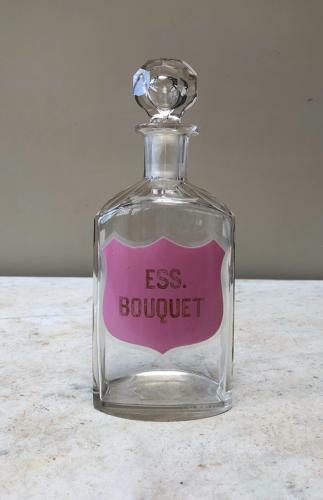 Ess.Bouquest was King George IV's favourite fragrance...floral with lavender. Lovely....listing matching bottle for Eau de Cologne.